For my stay in Penang, I stayed in Hotel Penaga which has a private Jacuzzi in each room and is located in the UNESCO world heritage city of Georgetown. There are many hotel options in Georgetown, for all budgets. If you arrive in Penang at the bus / train station in Butterworth then you’ll need to take a boat on the Malacca Strait to Georgetown. 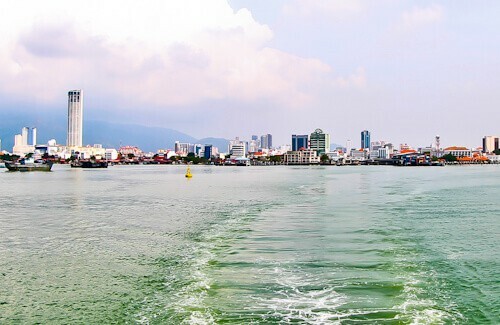 As you take the boat you get a wonderful panoramic of Georgetown and Penang Hill (above). The tallest building on the Island is the Komtar Tower, it’s also the sixth tallest building in the whole of Malaysia. What’s unique about the Komtar is that there is a viewing platform on top of the building so you can take clear images of the city without the reflection you get from photographing through a window. Weather permitting, you can take the funicular up Penang Hill for a view of the city. To get to the funicular, I recommend taking the bus from the Jetty, bus number 204, don’t be afraid to ask people for advice, they speak good English in Malaysia. I would avoid taxis altogether as they all overcharge, you won’t find one taxi that is willing to use the taxi-meter. 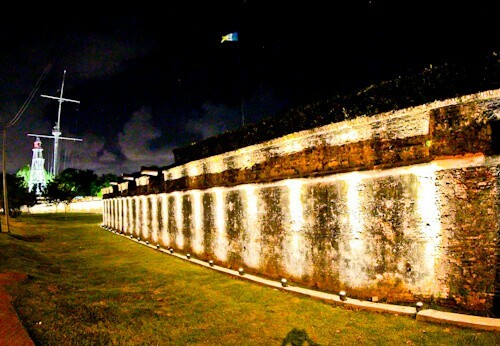 Fort Cornwallis is the largest fort in Malaysia and dates back to the 18th century. The British East India Company used Penang Island as a base / stop over point for its spice and silk trading route. They built Fort Cornwallis to protect the island from Pirates or foreign military forces at the time. The fort is named after Charles Cornwallis who was Governor General in Bengal at that time. Opposite Fort Cornwallis is the Swettenham Pier Cruise Terminal where you can take the ferry to the beautiful Island of Lang Kawi. Throughout the UNESCO world heritage site of historic Georgetown you’ll find lots of street art, famous examples include 2 children riding a real bike (which is chained to the wall). In another area you’ll see a boy reaching up to a real hole in the wall, he is stood on a real chair chained to the wall which is part of the artwork! A unique style of street art you’ll find all over Georgetown is the wrought-iron street art (above) each of them tells a story about Penang. Whilst in Georgetown it’s worth taking a walk down the Chew Jetty. 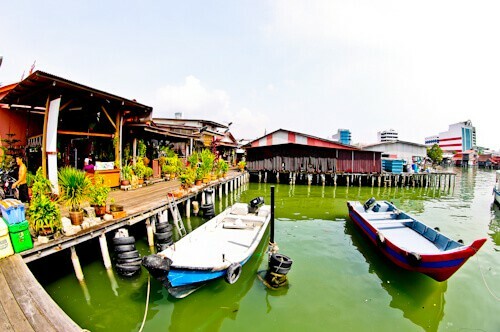 The Chew Jetty consists of houses on stilts built over the Malacca Strait. The construction of the Chew Jetty started in the 19th century by Chinese immigrants with the surname Chew. You’ll see lots of shops selling clothing, souvenirs and ice-creams on the jetty, this must be a good source of income for the people living here nowadays. 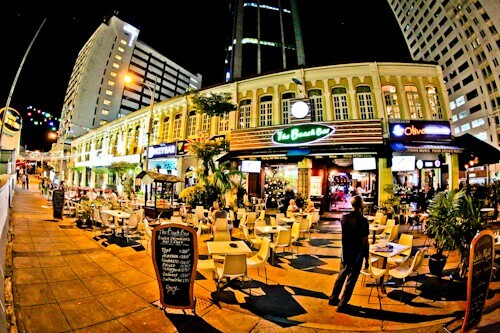 At the end of Penang Road are several restaurants, bars and clubs. You may have noticed I didn’t share any photos from the funicular to Penang Hill, the reason for this is because I was up late drinking and did not make the journey! I recommend foodies head to Gurney Drive to enjoy street food from one of the endless street food stalls located there. For those missing home there are several western chain restaurants located on Gurney Drive including TGI Friday’s and Nando’s. The walk on the promenade is a beautiful walk, just don’t take the walk midday when it’s super hot. 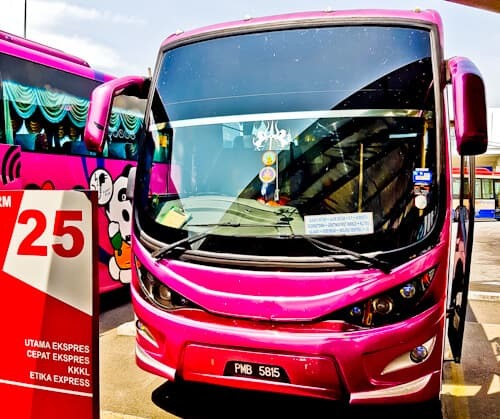 To get to the Penang bus / train station you must take the ferry from the Pangkalan Raja Tun Uda Ferry Terminal in Georgetown (close to Chew Jetty). If you take a taxi to the train / bus station then you’ll have to drive all the way out to the bridge and back and it will cost you 20 times the price of the ferry. I did not see where to pay for the ferry and no-one asked me to pay so my ride on the ferry was free which made the ride over to Butterworth more enjoyable, the journey took about 20 minutes and the pier in Butterworth is joined onto the train and bus stations. The bus, train and ferry station are located right next to each other in Penang Butterworth. The bus takes around 4-5 hours to get to Kuala Lumpur and the price is about 30-40 RM. The bus I took stopped at Ipoh on route to KL Sentral but you can take buses direct to KL Sentral (Kuala Lumpur). Wow, there are quite a few sites to visit in Penang, as a foodie I would love Gurney Drive and the street food stalls. 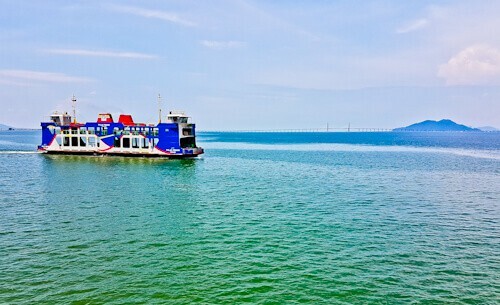 The ferry from Georgetown to Butterworth looks so picturesque …and the water so clear. It must have been an interesting journey down to Kuala Lumpur, what an adventure. I love the tip about heading to Gurney Drive for some street food being such a big foodie I would definitely do this. Plus I would like to take the funicular to get an amazing view of the city from Penang Hill. The ferry from Georgetown to Butterworth looks a beautiful journey in itself! I literally just booked my flights to KL. We will be traveling to Penang from there either by bus or train. I was just trying to find out how to make it happen. So glad to have come across this useful and informative guide, I guess we arrive at Butterworth and take the ferry over to Georgetown. I appreciate your tips for visiting Penang – photographing from the viewing platform of Komtar Tower as there is no window to reflect in the image – don’t take taxis since they refuse to use a meter and charge 20 times more – and walking along the promenade of Gurney Drive but not during the day. By the way, I am a foodie and I love street food, I’d love trying the food in the evening on Gurney Drive. Private jacuzzi in your room? That sounds fabulous! I’d struggle to leave the room ha ha! I’d love to up to the top of the hill for views out to the city, I’ll bet there are some great sunset and sunrise photos from that spot (not that you were up for sunrise!) Gurney Drive sounds good for food, I’d be keen to check that out. Love street food! You have indeed done a great job with this article. Just when I am planning to fly to Malaysia, I come across such wonderful detailed article on Penang. You have not just shown us how wonderful a place is, but also how great a journey to that place could be. Georgetown to Butterworth ferry sounds amazing and I am totally thumbs up for it. I love street art and look for it everywhere we go. Is it my imagination or is it getting more popular? We haven’t made it to Malaysia, but it looks like a really colorful and interesting place to visit. 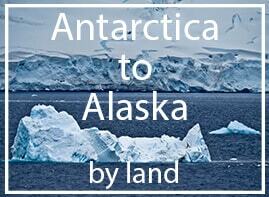 We always travel with the kids and I’d love to show them this part of the world! Malaysia is one of the few SE Asian countries that I have not yet been to and want to someday soon. Trip to KL are quite common from here and I believe it has enough activities for every age group, so I shall be looking into it. But, once again a great road trip James, and watching you travel is certainly inspiring. I laughed when I read the line about there being a Nando’s and Friday’s. You know, one of the first things I noticed when I arrived in KL was the fact they had a Nando’s in the mall. Even as a vegetarian it was an oddly comforting sight – almost like a little slice of home which, after 6 months or so of wandering around, was more than welcome. That street art kind of reminds me of Popeye and Olive Oyl, except with their body types in reverse. I definitely want to go back to Malaysia one day (2 days in KL was nowhere near enough to get a true taste of the country!) and would love to visit Penang – especially if I get a jacuzzi in my room! Penang is such a lovely island, I keep going back. Especially Georgetown is magical, so many lovely areas to discover and photograph. It must have been a nice bus ride to KL and see something of the mainland. I imagine the boat trip a lot better than the one I did to Langkawi, an extremely bumpy ride. The views from the boat are beautiful! I would love to go to Georgetown. I like how you mentioned the interesting street art and the best place to find food (Gurney Drive). I would definitely want to check out the views from Penang Hill. Sounds like an adventure and one heck of the story. The street art sounds awesome I love street art. Would totally love to see Chew Jetty as well, so much history there. I’ve always wanted to go to Penang! I’ve only done KL to Melaka. I loved Malaysia though and definitely need to go back. The street art in Penang looks amazing! A Jacuzzi in your room sounds awesome – I love how cheap ‘luxury’ hotels are in Asia. We enjoyed Penang but our one full day there was a Sunday and practically everything was closed! We saw a few of the things you mentioned but will definitely have to go back to see and experience the rest of it! Komtar Tower sounds like a great stop for photographers! We haven’t explored Malaysia yet but I’ve heard amazing things about the food, I’d have to visit Gurney Drive. I’m really curious about the street art too, I’ll check it out when I get to Penang. I wish I had more time when I visited Penang. I only had time to go up Penang Hill. The views were amazing from the top and I got to see sunset up there too, which was great. I would love to go back and properly explore as it seems like a great island to visit. I’ve been to Kuala Lumpur, but never to Penang. Georgetown with the sites such as Gurney Drive and the street art looks like a great place to explore. I will probably add Penang and Lang Kawi to my list for when I travel around South East Asia again. 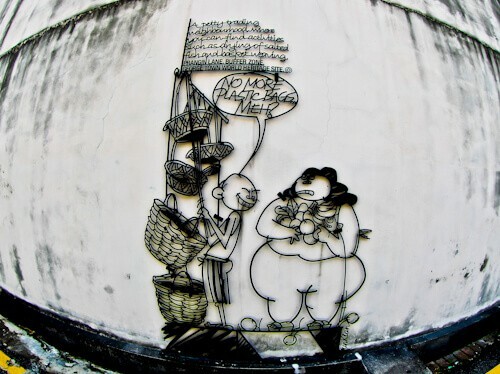 The street arts in Malaysia are thought-provoking. I like the Lego street art in Johor. TGIF restaurants are all over Southeast Asia but it does not that appealing to me when I travel. It is better to eat the local cuisine. I would definitely include the Gurney Drive on my itinerary. I like the cafeteria style of seating and this is common in hawker centres in Southeast Asia. We were in Penang last month. We did ride the funicular tram and while the views at the top of Penang Hill were awesome, there was nothing really ‘fun’ about the tram ride. They pack everyone in like sardines and it’s near impossible to see anything….. I think hunting down the street art was probably our favourite part of our visit to Penang. That and the food of course! I didn’t make it to Penang when I went to KL. There’s a lot to do! Gurney Drive seems like a must. Shame you missed out on the funicular but I hope your night was worth it 😉 Although perhaps the jacuzzi in your room helped you to feel better! I have only been to Kuala Lumpur in Malaysia, I haven’t spent enough time in the country. I do plan to go back, Georgetown Penang is on my list as I love to visit UNESCO sites. 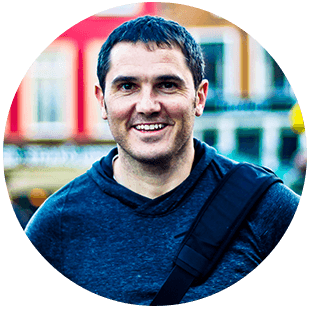 I am a curious explorer and I would be curious to check out the street food on Gurney Drive too. As I love fun and traveling I’d probably take the ferry to Lang Kawi, maybe fit in Ipoh as well. I’ve been hearing a lot about Penang, looks like I need to add it to my list! Even though I’m a huge foodie, the street art you mentioned in Georgetown peeked my interest. I would love to explore those streets! The Chew Jetty reminds me of the floating markets in Thailand. Great guide, will definitely reference it if I get the opportunity to visit Penang. A hotel room with private jacuzzi? That’s getting pampered to the best! Good to know you’ll be able to click a pic without the reflection of the glass! That’s one thing that irritates me in several places. I am a fan of those street arts!! The Chew Jetty looks picturesque! Wow! Penang look stunning. I had been to Malaysia before and is again visiting it next month but never been to Penang. I really like the Chew Jetty and Georgetown. Our ship stopped in Georgetown. Anchored out in the strait and we get tenders in. Apart from finding a post office to send stuff back home, I cannot say I liked the place. Fort Cornwallis was interesting for a history buff like me, but the rest of the place was hot and humid and uninteresting to my eyes. We went up the tower and had a drink in the restaurant there. Very seedy, though that was in 2008 when it sadly needed renovation (since achieved). Glad to see there are some good bits to the placd. Maybe I should have had a guide rather than just walking around randomly. Ah this makes me rethink my travel plans to malaysia! I’ve only ever been to KL. love the street art in your photos. One day I’ll get there and for laughs might try out a Nandos! Seems like there is a lot to do in the Penang Island area and it’s also really beautiful! I would love the boat trip over to Butterworth to see the view from the water as it always gives you an interesting perspective. I love that pink bus btw ???????? I love KL but never been to Penang yet. Jacuzzi in the room is a great splurge, after all that’s the fun of travel. Your pictures are great and thanks for sharing this Georgetown guide for me to use in future. Oh how I miss affordable Asian luxury! Not to mention the great spicy food. Malaysia is still on my bucket list. Sounds like I should head straight to Gurney Drive. I am visiting Selangor next month and I plan to do Penang too this time. The post really helped me to list down the things that I must decide on. Thank you, this post will make my Malaysia trip a whole lot easier. Penang really seems to have a lot to do. I had been to Malaysia couple of times but never been to Penang. I would definitely want to visit Georgetown and Clan Jetties, they look pretty cute. A trip up Komtar Tower for a view of the city would be worthwhile too. This is such a useful guide with all the information on accommodation and transport plus places to see in Georgetown and Penang Island. I have bookmarked it for reference when I plan my Malaysia trip. I especially like the idea of searching for street art in the UNESCO city of Georgetown. Penang Island is a really an interesting area! maybe we’ll be able to stop over in the UNESCO city of Georgetown for a bit when doing our world trip next year. It would be a great experience for us foodies to check out Gurney Drive. Very nice! The street life look’s very lively in Georgetown Penang, I understand why it’s a UNESCO site. Penang Island and Lang Kawi are actually on our list of must visit places when we get a chance to travel abroad. Our plan is to go rock climbing in Krabi then visit Penang as a side trip. I find Georgetown the most fascinating place. It being a UNESCO heritage site makes it all the more alluring. The street art there seems to be on an altogether different level. So much creativity and innovation. I love Penang! I had one of the best bowls of ramen I’ve ever had at a place called (I think) Big Bowl Noodle. I wish I had more time there to take the ferry out to Lang Kawi, but I mainly just stayed in the George Town area. I’d love to go back.